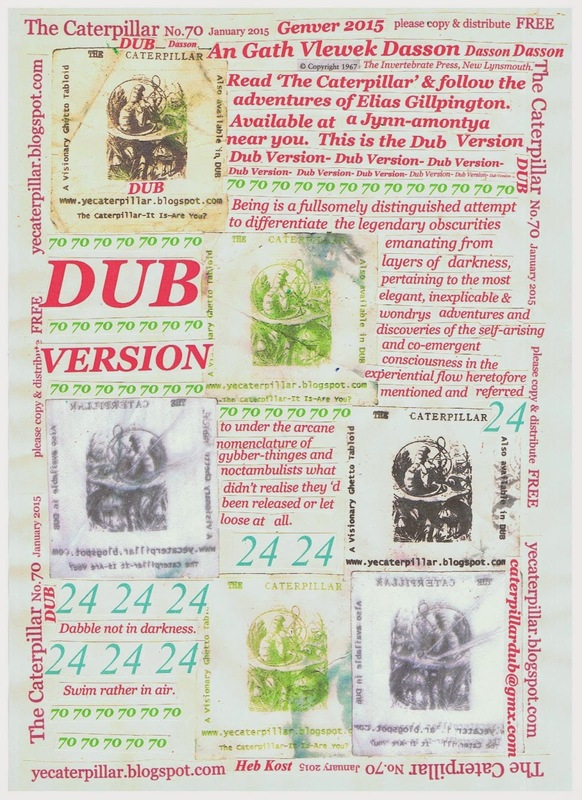 The Caterpillar is a Visionary Ghetto Tabloid and comes replete with its own Remixed Dub Acetate. It can be printed out for physical distribution. A very green sea today. Actually it was made of Turquoise. Molten stuff surged and white waves dotted the dark rolling ocean under the windy sky – the world spun then and has not stopped since. Was that a crinoid stirring? A pymp-bys starfish spinning, radiating? Andy Kirk – All the Jive is Gone.